Looks like a modern portable gaming console is time present in the market. This assumption is, of course, has been awaited by gamers, especially fans the PSP console. Yes, as we know the original PSP has stepped age 5 years, from its launch to the public. So at least it was time to be replaced, with a better product. 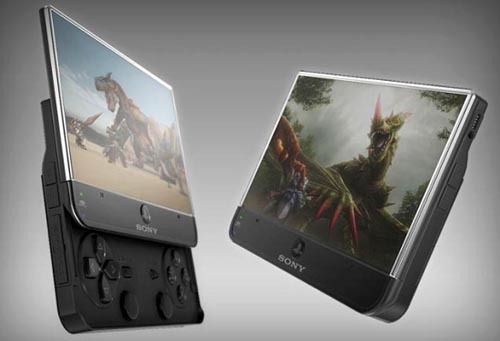 Well, the latest rumor says that will be present PSP2 console games, which will embed type OLED touch screen display. In fact, reportedly also will carry the 3G technology, including the possibility with the Wi-Fi. But, to mention a phone capability is not available. Clarity will be variants of their products is still questionable, the model only Wi-Fi or Wi-Fi +3 G like the Apple iPad tablet. What is clear is hell, PSP2 predictions will be announced at least in early February, before the announcement of the XPERIA Play aka the PSP phone. Hi pal! I am new to net world, I have seen many blogs and sites since I get registered also, it is a good source for everyone to create a site like, I am going to create my own blog too, it will be great fun for me, han!